In a reminder that either a) TV is good for you, or b) the universe is so random and chaotic that cursory knowledge of a network sitcom might be more functionally important than anything you ever bothered to learn in college, take your pick, an Arizona man saved a woman’s life this week using knowledge gleaned entirely from a fifth-season episode of The Office. Specifically, 21-year-old Tuscon resident Cross Scott—no relation, presumably—found an unconscious woman at the wheel of a car on an Arizona dirt road recently, and quickly deployed a useful bit of CPR trivia he learned from the show’s fifth season episode “Stress Relief”. That’s the one where Michael spends a bunch of time contemplating what life would be like without his arms or legs, Dwight cuts off a dummy’s face and wears it like a serial killer, and also, mostly in passing, the hapless first aid instructor mentions that the Bee Gees’ “Stayin’ Alive” is a good rhythm for chest compressions during CPR. Applying said knowledge, Scott thankfully resisted the urge to let the irrepressible rhythm of the Brothers Gibb carry him away from the life-saving task at hand, and the woman eventually started breathing again. Paramedics reportedly later told Scott that his intervention almost certainly made a huge difference in the eventual outcome of the crisis; we can only assume that the life-saving process, while long and hard, was also deeply satisfying for all involved. 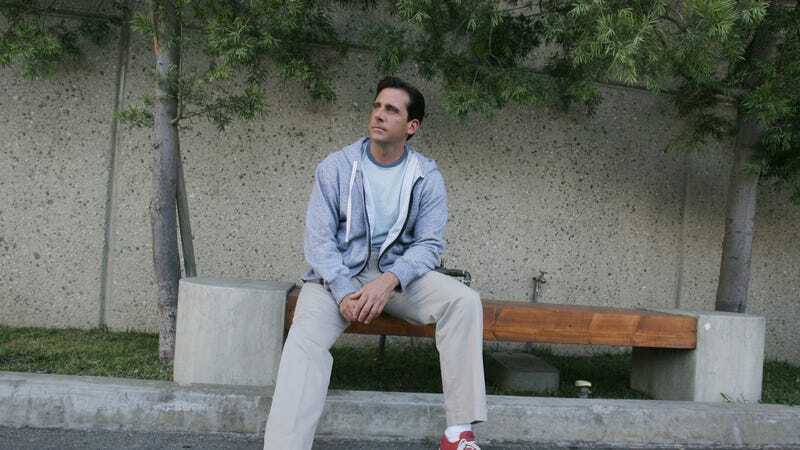 Steve Carell doesn&apos;t think The Office would work in today&apos;s "climate"